Y'all are the best! If you follow me on Instagram and caught my stories from earlier this week, then you saw my prompt for your favorite and go-to drinks at Starbucks. And you all replied! For me, I typically stick to my regulars, depending on the time of year (see them below), but sometimes I want to switch things and try something new. However, I'm not really adventurous enough to a.) buy a random drink that doesn't come recommended b.) make up my own drink c.) spend that kind of money on a drink that I may not like. But, now I've got a whole list of everyone's go-to Starbucks beverages, from coffee to tea and refreshers. I'm super excited to give some of these a try, and I hope you find one or five on here that you feel bold enough to try out too! 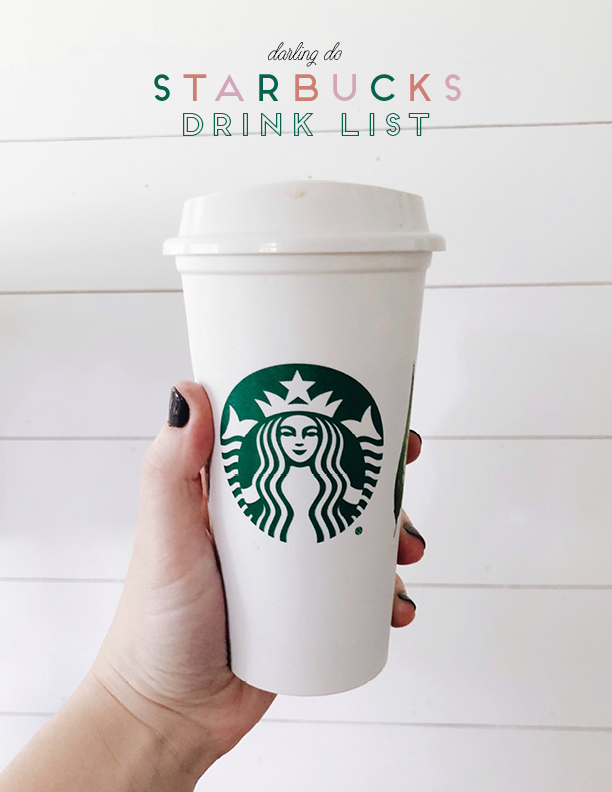 If you have any Starbucks drinks recommendations and must-trys, leave them in the comments! Happy Starbucks-ing! !